Discussion in 'iMac' started by unknownx, Nov 8, 2012. 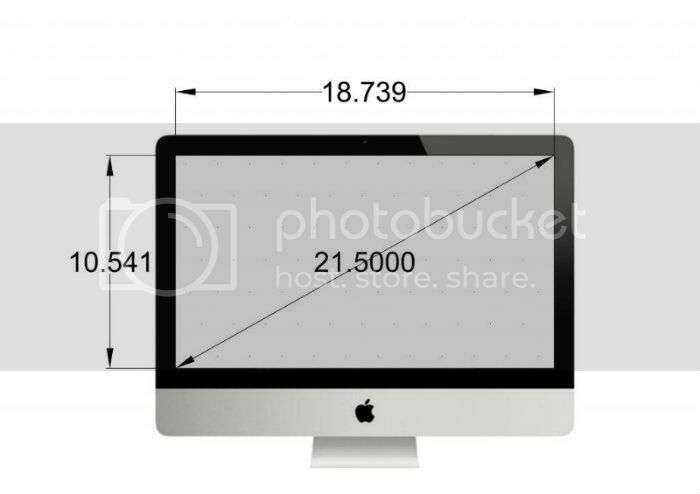 I need to know the actual screensize of the two iMac's. The figures Apple gives includes the bezel. I just did a quick measure of our 27" here at work, the width is about 23.4"
and the height is about 13.25"